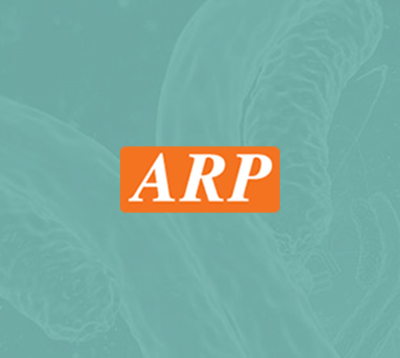 ARG1, 1-322aa, Human, 01-1835-1 | ARP American Research Products, Inc.
Arginase is a manganese-containing enzyme which catalyzes the hydrolysis of arginine to ornithine and urea. It is the final enzyme of the urea cycle. At least two isoforms of mammalian arginase exist (types I and II) which differ in their tissue distribution, subcellular localization, immunologic crossreactivity and physiologic function. The type I isoform functions in the urea cycle, and is located primarily in the cytoplasm of the liver. The type II isoform has been implicated in the regulation of the arginine/ornithine concentrations in the cell. It is located in mitochondria of several tissues in the body, with most abundance in the kidney and prostate. Recombinant human ARG1, fused to His-tag at C-terminus, was expressed in E.coli and purified by using conventional chromatography techniques. Arginase-1, liver, Arginase-1, liver A I, Al, ARG 1, ARG1, Arginase 1, Arginase liver, Arginase type I, Arginase1, Liver type arginase, Type I arginase. Wu G., et al (1998) The Biochemical journal 336 (Pt 1): 1-17. Iyer RK., et al (2002) Molecular and cellular biology 22 (13): 4491-8.